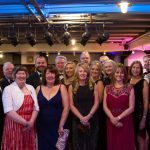 Preston based engineering joint venture C2V+ has announced a new charity of the year partnership with a Lancashire conductive education centre. 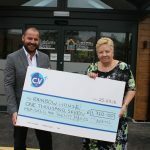 The joint venture is now supporting Rainbow House and has recently upgraded the charity’s grounds and buildings with thousands of pounds worth of materials. 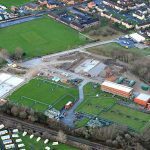 The charity, which is based at Mawdesley, raises all of its own funds, not only to offer conductive education services to children, young people and adults with neurological and genetic conditions, but also to maintain its buildings and grounds. 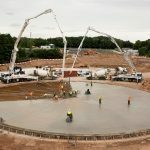 C2V+ is a joint venture consisting of VolkerStevin and CH2M brought together to work on both water and waste water contracts in the North West. The team carried out a range of work including cleaning and power washing all of the play areas, excavating and laying paving stones for planters, creating a new path to the climbing frame with flags, paving general areas, tidying paths and tidying garden soil areas. 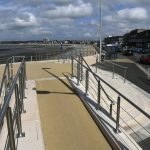 They also went about cleaning, relining and filling stand-alone sensory pots and constructing wheelchair friendly sensory planters in the play area, creating a fire muster point and replacing damaged timber and rope post, arranging padlocks for the gates, fixing a leaking sink and painting fencing. 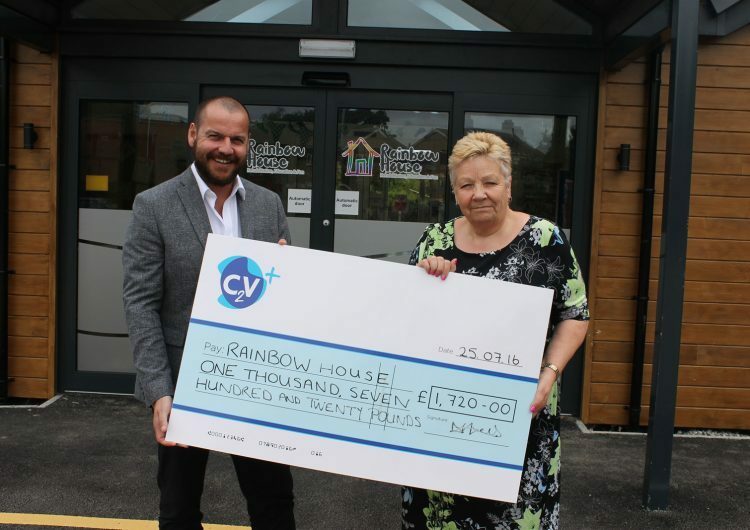 In addition to the work at the centre, a team from C2V+ took part in the annual Rainbow House ramble and raised £1,720 which was presented to Carole Cochrane, Chief Executive on a recent visit.